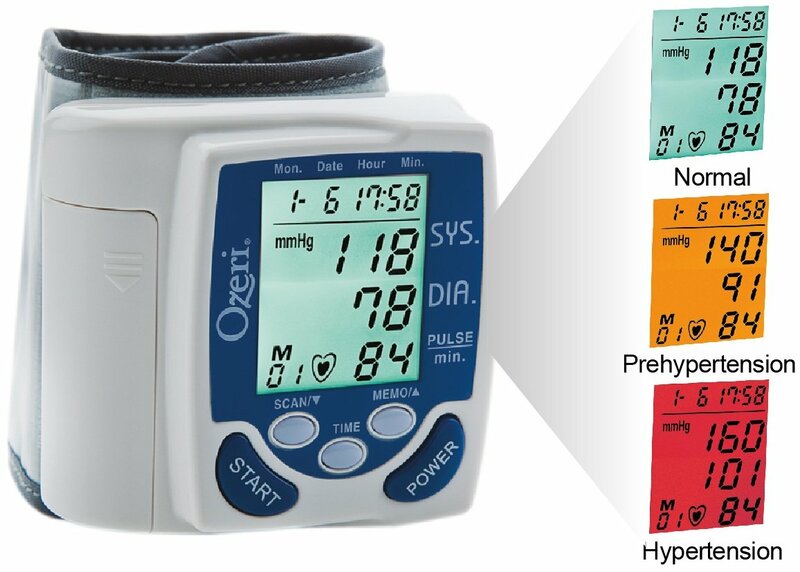 Ozeri makes a portable battery charged blood pressure cuff thats compact and easy to use. It fits in your purse and you can travel just fine with it. There's no bulky wires and it's not heavy. It has color code technology to let you easily know if the reading is high, low or right. Meaning it will tell you if you need to be alarmed. The instructions are easy to read easy to follow. It has a carrying case with it, so you don't have to worry about damaging it in travel etc. It goes around your wrist and reads it fast.